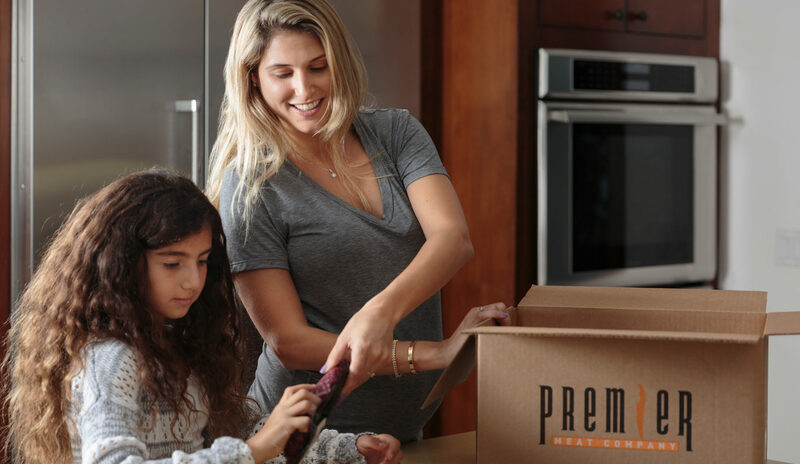 Understanding that your time is very valuable, we’ve developed a new subscription service so that you can get fresh, never-frozen, gourmet meat delivered right to your home! By signing up for this online meat delivery service, you’re saving yourself a bunch of time at and trips to the grocery store. All you need to do is set up your delivery schedule and protein wishlist online, and you only need to do this once, not for every delivery. Protein selections will differ with each delivery, and all meats are artisan-selected and cut by our skilled craftsmen. Once packages are assembled, they’re shipped off to you, only to arrive within two days to ensure the freshest quality. You’ll get a variety of grass fed beef, fresh fish, free range poultry, gourmet lamb, and premium pork. If fish isn’t your thing, no worries – just let us know and we’ll substitute it with something else. With just a little bit of slicing, dicing, sauteing, simmering, and roasting in the kitchen, you have turned your sustainable, fresh meat into an elegant, aromatic, juicy meal, ready to be served at your dinner table. 1. For a family of 2-4, you will receive 6-8 pounds of meat per week. 2. For a family of 4-8, you will receive 10-12 pounds of meat per week. Deliveries are made Tuesdays or Fridays, your choice. Delivery frequencies range from 1-4 times per month, your choice. For multiple deliveries in a month, no more than 1 delivery will be made each week. Deliveries will include beef, fish, chicken, lamb, and pork unless otherwise noted. You will only be charged when we send product out to you.